← Are we really headed for a collision with Andromeda? 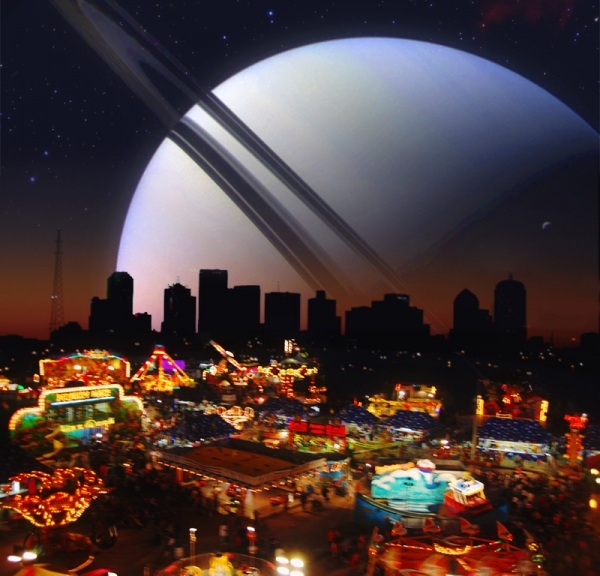 Welcome to the 400th Carnival of Space! We’re running a day late, thanks to the Easter Weekend, but there’s a bumper crop of astronomy and space science news and articles to make up for it, so let’s dive straight in.First up, from the grand-daddy of astronomy news, Universe Today with some space imagery of the typhoon Maysak. Photographer Terry Virts, from his temporary home on board the International Space Station reports that from up there the eye of the super-typhoon looks like a black hole from a science fiction film. Also from Universe Today, a nice thorough piece on the asteroid minor planet Ceres. The Dawn spacecraft is busy settling into its orbit around Ceres, and will soon begin collecting science data and images, so this is a good time to learn more about the little world. The Spanish language blog Vega0.0 brings us an update on the mysterious G2 – an object which we’ve written about before on Urban Astronomer that was discovered several years ago and appeared to be on course for a near-collision with the supermassive black hole at the centre of our galaxy. Most astronomers at the time agreed that G2 was probably a gas cloud, but new information collected after it swung by the black hole suggests that there may have been something within the cloud. Also from Vega0.0, a nicely informative article explaining why everything in space seems to spin. The Meridiani Journal has news from the venerable Spirit rover on Mars. It has collected even more evidence to show that Mars was once a wet, humid world. These particular results show that the rover’s current location, Gusev Crater, once had hot springs welling up from beneath the surface. Nextbigfuture summaries the NASA funding of projects to enable Cislunar habitation and reviews what Cislunar space is. Seven NASA NextSTEP habitat projects will have initial performance periods of up to 12 months, at a value of $400,000 to $1 million for the study and development efforts, and the potential for follow-on phases to be defined during the initial phase. Habitation systems selections will help define the architecture and subsystems of a modular habitation capability to enable extended missions in deep space. Orion is the first component of human exploration beyond low-Earth orbit and will be capable of sustaining a crew of four for 21 days in deep space and returning them safely to Earth. Nextbigfuture reviews NASA funding of next generation space propulsion with VASIMR, advanced ion drive and electromagnetic plasmoid propulsion. NASA has selected 12 Next Space Technologies for Exploration Partnerships (NextSTEP) to advance concept studies and technology development projects in the areas of advanced propulsion, habitation and small satellites. Selected advanced electric propulsion projects will develop propulsion technology systems in the 50- to 300-kilowatt range to meet the needs of a variety of deep space mission concepts. State-of-the-art electric propulsion technology currently employed by NASA generates less than five kilowatts, and systems being developed for the Asteroid Redirect Mission (ARM) Broad Area Announcement (BAA) are in the 40-kilowatt range. The three NextSTEP advanced propulsion projects, $400,000 to $3.5 million per year per award, will have no more than a three-year performance period focused on ground testing efforts. NASA required a minimum of 50% cost sharing and/or matching for the proposed efforts, which may include prior industry investment. Also from Next Big Future: With about 300 billion stars in our galaxy, researchers analyzing Kepler data and modified theory calculate there are 600 ± 300 billion planets in circumstellar habitable zones in our galaxy. In the observable universe there are about 100 billion galaxies. Thus there are approximately 10^22 stars in the observable universe and twice that many planets in circumstellar habitable zones in the universe. That’s a lot of real estate for alien development. Not all of these habitable zone planets will be wet and rocky like the Earth, but a fair fraction (about 30%) should be. Now we need some zippy interstellar spaceships to colonise and over-populate all these worlds before the aliens do. Next Big Future’s final submission talks about DARPA’s Airborne Launch Assist Space Access (ALASA) program, which seeks to propel 100-pound satellites into orbit for less than $1 million per flight by using low-cost, expendable upper stages launched from unmodified conventional aircraft. ALASA aims to provide more affordable, flexible and reliable access to space. The Airborne Launch Assist Space Access will work even better when the US has hypersonic jet fighters in the mach 5 to 10+ ranges. Finally, Links Through Space posts a series on Astronomy club Toutatis latest astronomy trip to the Sahara in Southern Morocco. The author met with many enthusiastic people in astronomy, and had a blast doing many activities to learn more about astronomy. Readers can follow the complete astronomy trip post series (9 in total) and enjoy the astronomy behind it. So that’s the Carnival of Space. I hope you enjoyed reading it as much as I did compiling it, and I hope you enjoyed your Easter weekend. Till next time!